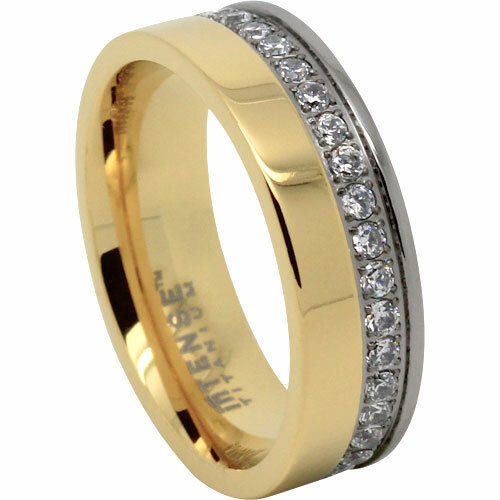 This is a stunning titanium ring featuring 14k gold IPG on 3/4 of the band with an eternity band of simulated diamonds. The diamonds sit slightly inside the band to protect them rubbing onto surfaces. Our simulated diamonds are AAA grade class and have the same sparkle as natural diamonds.